So when the college was building a new $25.6 million education center, they turned to Neeley Construction Company out of Puyallup, Washington. The Allied Health and Early Child Development Center, a 41,650 square foot facility, will be used to train the next generation of doctors and nurses, so it’s important that it stands up to the test of time. Peninsula College knew that choosing Neeley Construction would ensure that this important education center would stay useful for years to come. And Neeley Construction knew that part of that is having a solid system to keep moisture out. Neeley Construction was looking for a better way to screed their concrete over the traditional “cow-pie” method. Not only did they need a better way to screed, they needed to do so without damaging the Stego® Wrap Vapor Barrier they had installed to guard the building against moisture. For the solution, they turned to Stego® Industries’ revolutionary Beast® Screed System. The Challenge: The Peninsula College project was a large and complicated one. Neeley Construction wanted a more efficient and reliable method for screeding, and there were multiple areas of interior formwork which had to be set at different elevations; all of this and the specification called for no punctures in the vapor barrier. Traditional screed hardware and traditional forming methods can both cause punctures to a vapor barrier. 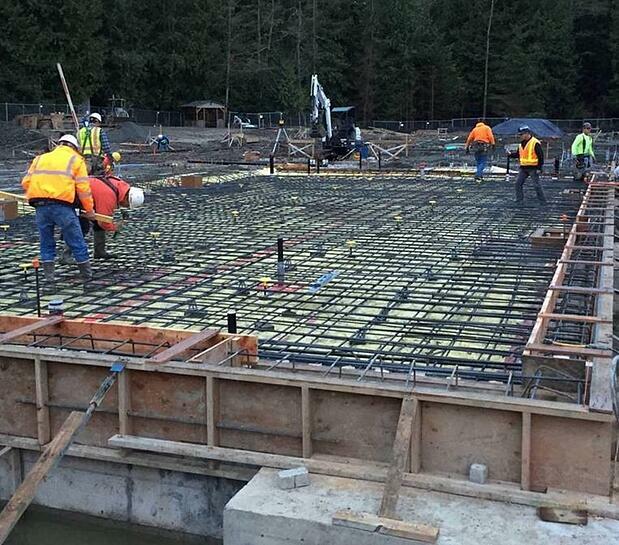 The Solution: The Beast Screed System is designed to allow contractors to more efficiently screed concrete while achieving better results, which is just what Neeley Construction was looking for. The Beast Foot forming system allowed Neeley Construction to set all their interior forms to the proper elevation, without putting any holes in the vapor barrier, which is what the project specifications called for. Part of the Stego Industries difference is that we work with our customers to help them use any of our products, including coordinating setup and proper usage while pouring concrete with a new screeding system, or installing interior forms without puncturing the Stego Wrap. 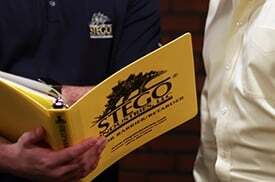 A local Stego Industries employee can come to your site and work with you to solve any problems and answer your questions. 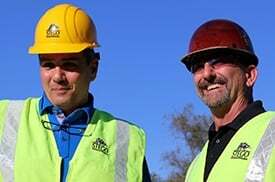 We’re your on-site and on-call partner to ensure your project’s success. 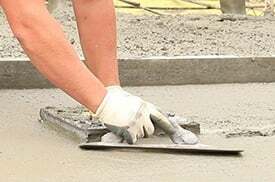 Pouring concrete is a huge job on any project, and screeding and forming while maintaining the integrity of your vapor barrier is key to the long-term durability of your project. The Beast Screed System from Stego Industries makes it easy. Connect with us today to find out how you can use the Beast Screed System to save resources and maximize efficiency on your next project. We look forward to working with you.